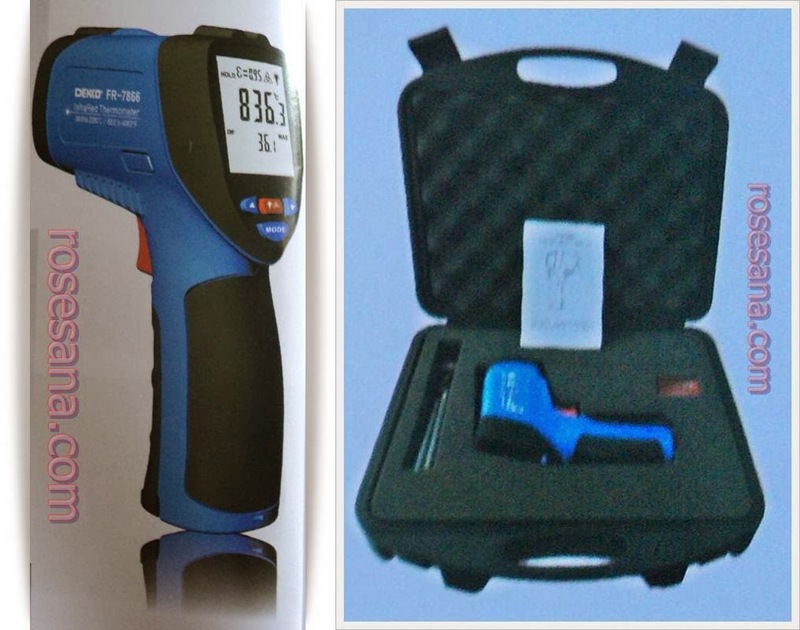 Accessories: User's Manual, 9V Battery, box, carrying punch, type K temperature probe. LPC11U14 ARM microcontroller development board is a module LPC11U14FBD48/201 CPU based on ARM Cortex - M0 from NXP . 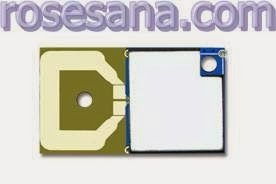 This module can work at speeds up to 48 MHz CPU . This module is also equipped with an internal bootloader , so no longer need an external device programm . Programming via the bootloader can be done using a USB connection ( FTDI , not the internal USB controller ) . 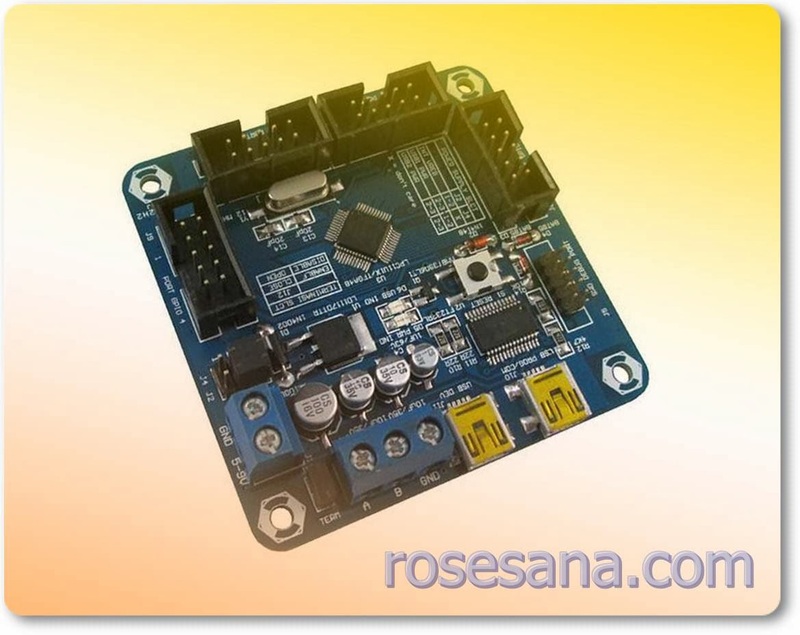 LPC11U14FBD48/201 based microcontroller ( 32 KB flash memory , 6 KB SRAM , CPU ARM Cortex - M0 ) . Integrated with an external 12 MHz cystal . 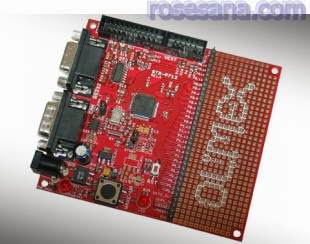 Has 2x USB ( FTDI USB Device and internal ) . Have 1 RS - 485 port . Has a UART interface on Port GPIO3 with 3.3 VDC TTL voltage levels ( shared with FTDI connection ) . Available USB port for serial interface function ( Virtual COM Port ) simultaneously write microcontroller program , so it does not require an external programmer . 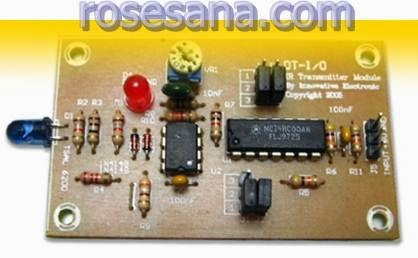 Having input port 8 channel 10-bit ADC . Working at the level of mid 3.3 VDC with 800mA maximum current . 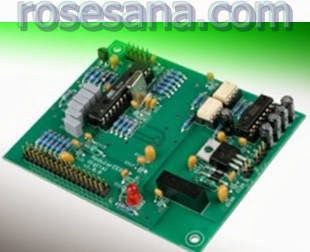 Input power supply for the board : 5VDC - 9VDC / USB ( 5VDC ) . Infra Red Transmitter is a sender module data via infrared waves that come with a carrier wave generator with a frequency of 38 kHz. 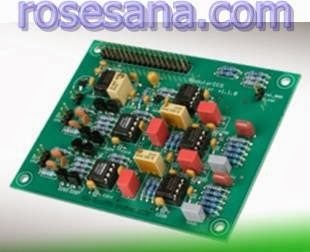 This module can be used as a transmitter for wireless transmission of data in applications such as robotics, security systems, datalogger, etc..
Carrier frequency of 38 kHz (can be matched using a variable resistor). The maximum distance of 16 m (tested at an angle of 0 degrees) and 35m (according to the datasheet). Has an input voltage levels are compatible with TTL, CMOS, and RS-232. There are 2 modes of output: non-inverting and inverting. 38 kHz carrier frequency receiver. Relative sensitivity peak occurs at a wavelength of 940 nm. 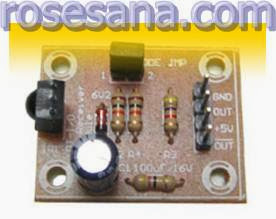 Has 2 outputs (inverting and non-inverting) voltage levels are compatible with TTL, CMOS, and RS-232. 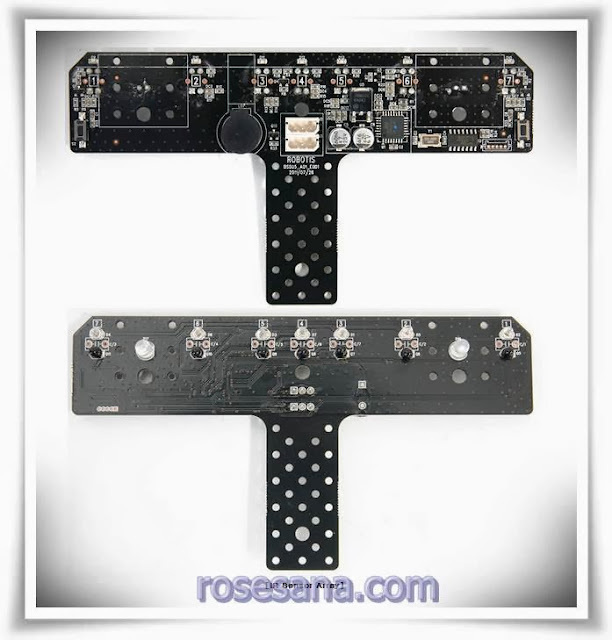 The IR sensor array is a device with 7 mounted infrared sensors. Each IR sensor is capable of detecting black and white colors. The array is capable of emitting sounds. The IR array can perform detection at proper distances. 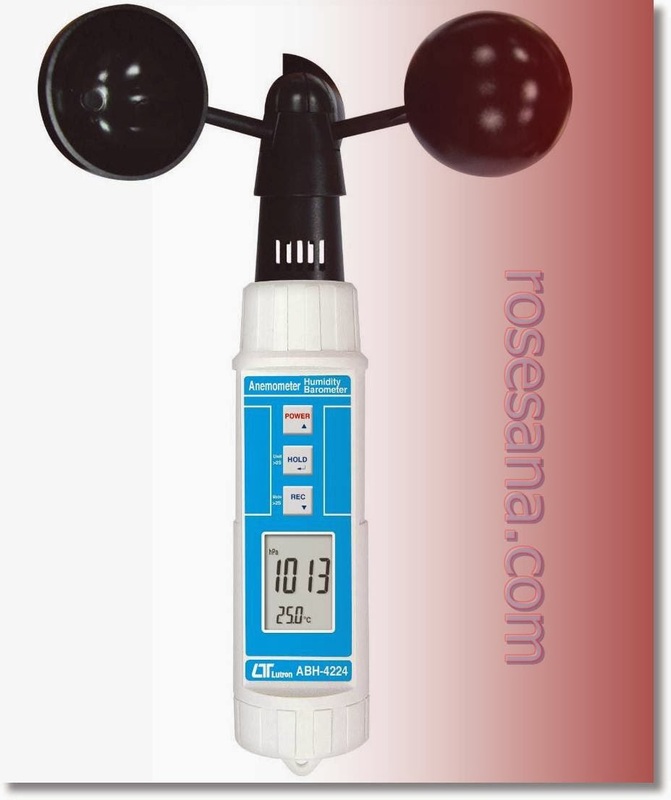 The infrared sensors transmitters/receivers have optimal operating range of 0-5CM.